Regardless of your religion, temples, cathedrals and churches express mankind’s eternal desire to create heavenly castles on earth. The 15 examples described here showcase the best of the best, and if these immaculate constructions instill a sense of wonder and amazement it is perhaps because they were built by people with a vision of something above and beyond this mortal world. 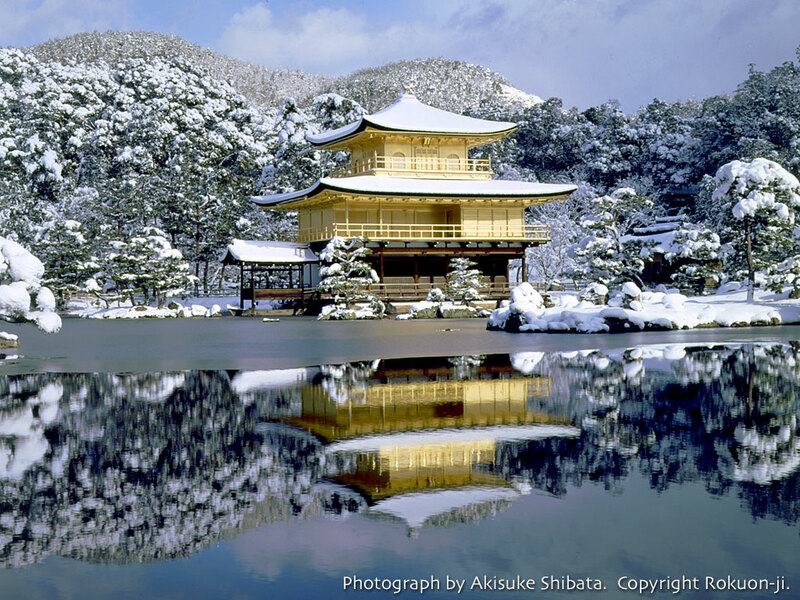 We begin in the far east with the Kinkaku-ji Temple in Japan’s former imperial capitol of Kyoto. Originally built in 1397, the temple burned down three times (most recently in 1950) but has been painstakingly rebuilt each time. The most recent reconstruction was completed in 1955 and was followed by an exacting renovation in the 1980s. 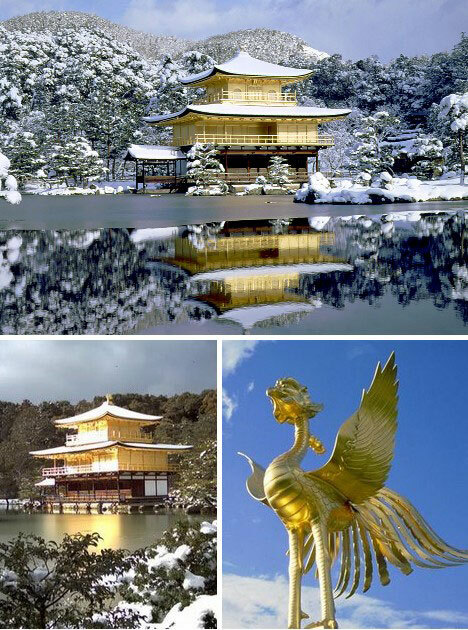 Over 100 pounds of gold leaf in the form of 200,000 foils delicately applied to the structure’s top two floors (and the golden phoenix on the roof) gives it an ethereal glow in every possible light.. 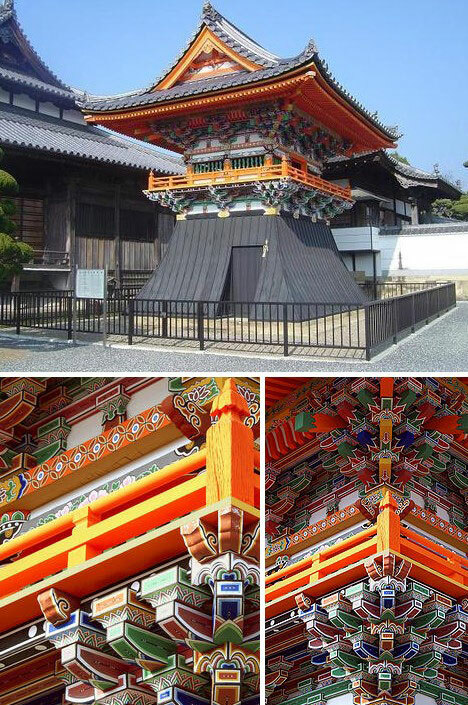 The Sagami Temple is not nearly as famous as the Golden Pavilion but in its own way is just as awe-inspiring. The intricate detailing on nearly every available space combines to create an exquisite panoply of color that manages to look different from any angle. 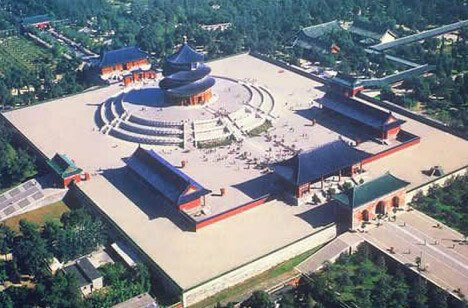 The Temple of Heaven, or Tiantan is located in Beijing, China, and was built in the 14th century by the Ming Dynasty. 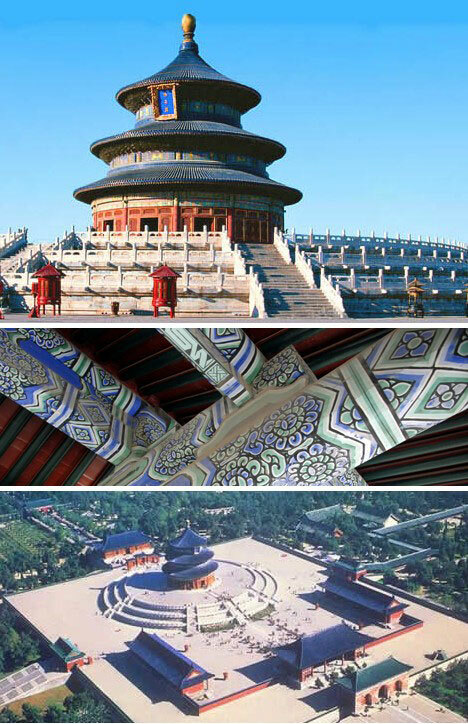 Centerpiece of the largest temple complex in all China, the Temple of Heaven and its associated buildings take up an area 5 times that of the Forbidden City. The Mayura Water Palace was built in 1744 by the royal court of Bali and some sections actually float on the water. 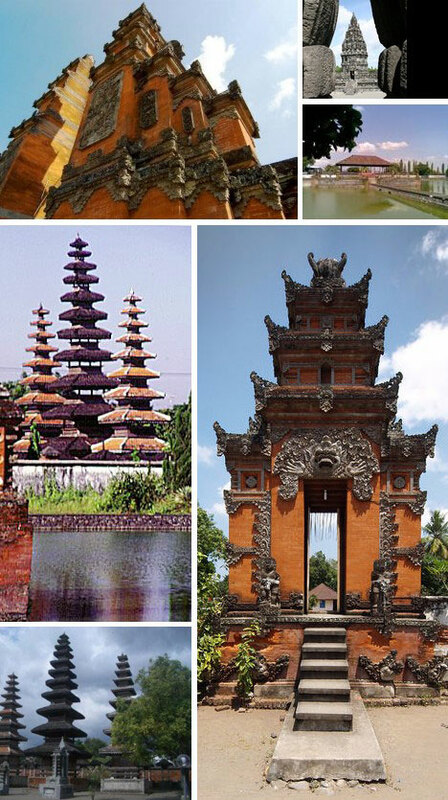 Indonesia is home to a multitude of spectacular temples, some over 1,000 years old. The fact that these monumental structures have survived countless earthquakes and volcanic eruptions over the ages is a miracle in itself. Saint Andrew’s Cathedral appears to have been plucked from foggy England by a typhoon and set down in one piece amid the tropic splendor of exotic Singapore – which is a metaphor of how it came to be, minus the typhoon. 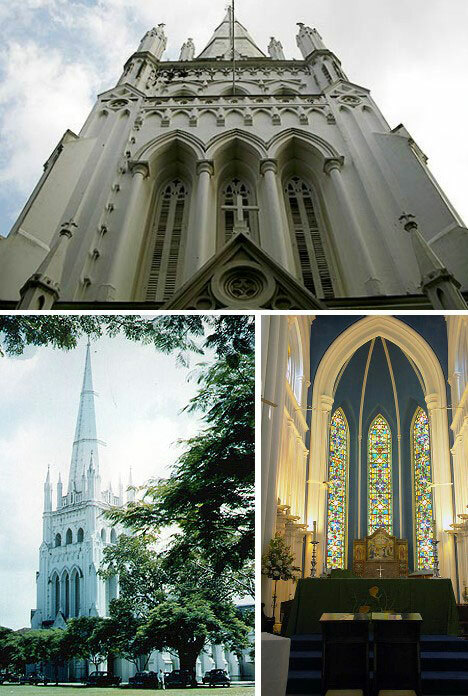 Completed in 1836, Saint Andrew’s is Singapore’s largest cathedral and crystallizes the desire of Victorian colonizers for a place to practice their Anglican faith in a familiar setting. 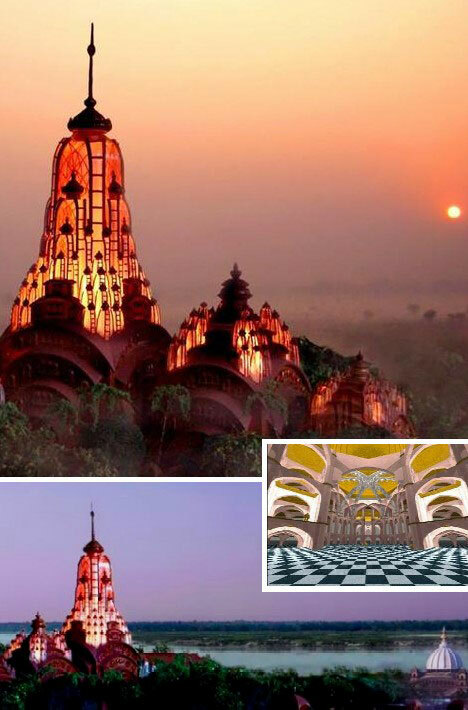 Under construction and due to be completed next year, the Sri Mayapur Vedic Temple and Planetarium will be one of the world’s largest temples and, amazingly, not one bit of steel is being used to build it. The temple’s 22-acre footprint positions it on the shore of India’s sacred Ganges river and the bricks used in its construction will be crafted from fired river silt. The highlight of the temple is the marble & glass Diety Chamber which will soar 35 stories into the subcontinental sky. 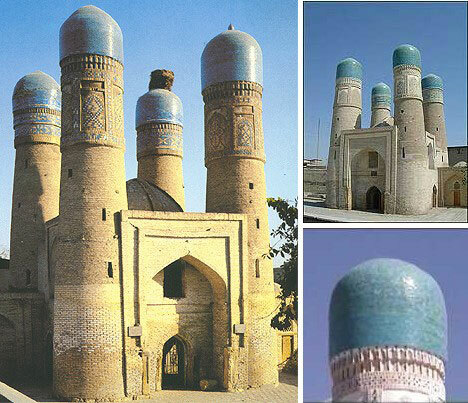 The Chor-Minar isn’t the biggest or most ostentatious of the many grand buildings in the great Silk Road city of Bukhara, but it has a certain charm the others lack. Built at the relatively late date of 1807 as a madrassah, or religious academy, the Chor-Minar features a harmonious quartet of tower-like minarets crowned with beautiful sky-blue tiles. The Cathedral of Saint Basil the Blessed, to give it its full name, was built between 1555 and 1561 – rather a short time as cathedral-building goes, but with Ivan the Terrible breathing down their necks one would imagine the workers didn’t do much slacking off. 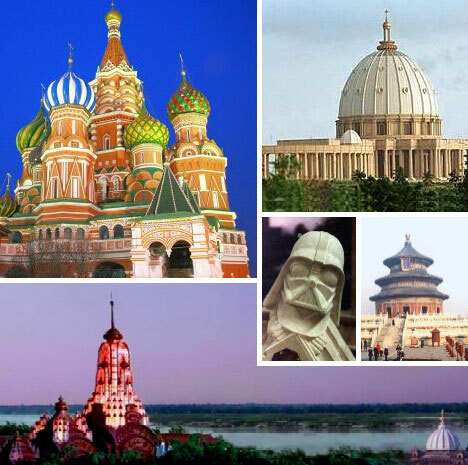 The design of St. Basil’s consists of 9 separate chapels, each crowned by a uniquely textured and painted onion dome. 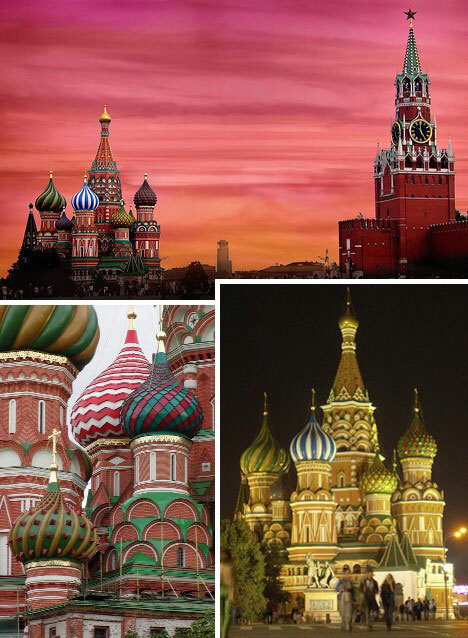 St. Basil’s Cathedral anchors one corner of Moscow’s Red Square and remains an enduring symbol of Russia. Notre-Dame-de-la-Paix (Our Lady of Peace) is not only Africa’s largest Roman Catholic basilica, it’s the largest in the world – slightly larger than St. Peter’s Basilica in Vatican City. 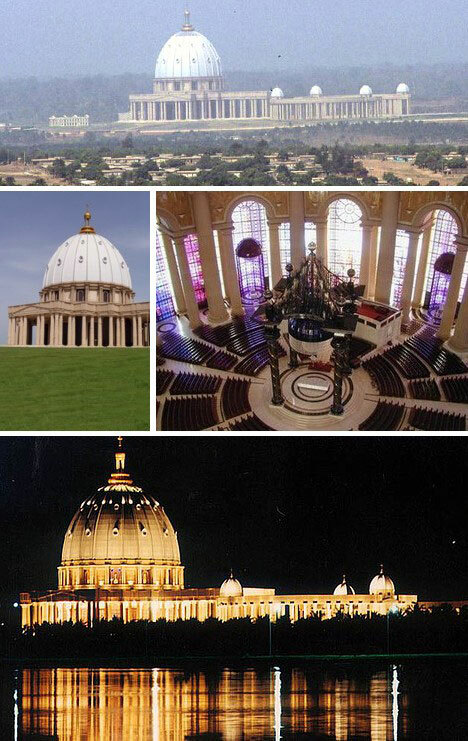 A pet project of former Ivorian president Félix Houphouët-Boigny, who supposedly financed the colossal structure from his own personal fortune, the basilica was consecrated by Pope John Paul II in 1990. Prague is a city of wonders that has emerged from most major wars with its spectacular architecture virtually unscathed. 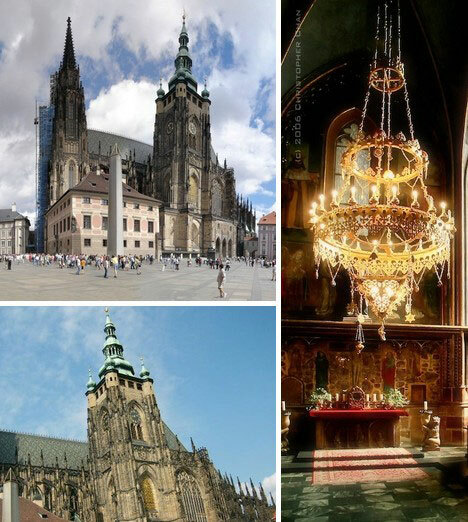 In the case of St. Vitus Cathedral, begun in the year 1344, wars and revolutions slowed the pace of construction. REALLY slowed – the cathedral was finally finished in 1929! 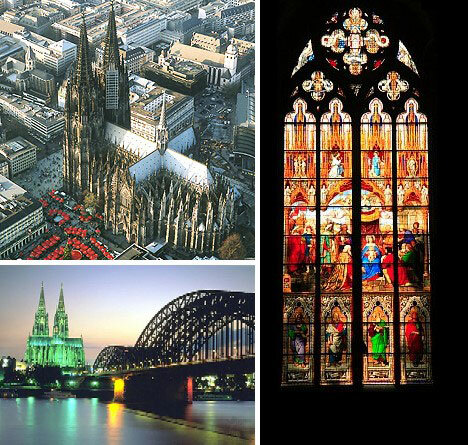 Koln (or Cologne) Cathedral is a gothic gem and a UNESCO World Heritage site. The cathedral’s twin towers stand 515 high and the largest of its 12 bells weighs a staggering 24 tons, making it the world’s largest free-swinging bell. Koln Cathedral’s cornerstone was laid in 1248 and work progressed steadily over the next six and a half centuries until declared completed in 1880. 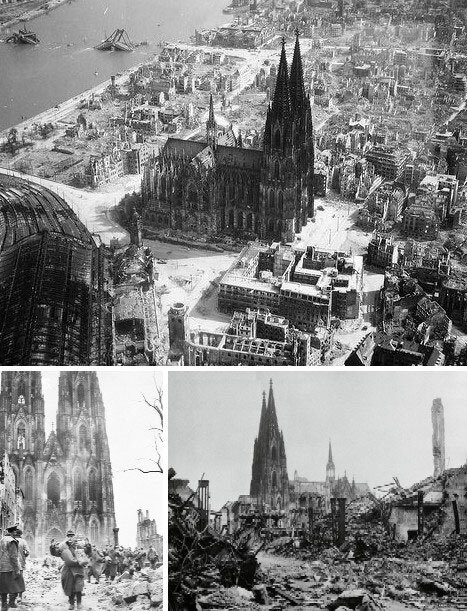 Situated in the center of Koln, a leading industrial city, the cathedral suffered 14 direct hits from air-dropped bombs in World War II (instructions were to avoid the cathedral if at all possible) only to be restored to its original majesty by 1956. 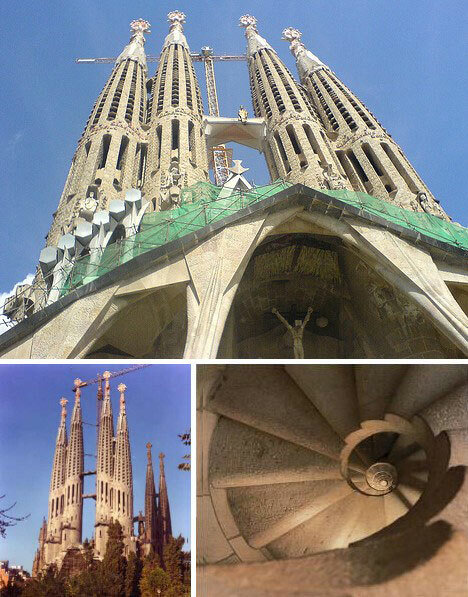 Spanish cathedral magic, in the form of avant-garde architect Antoni Gaudi‘s astounding La Sagrada Familia, is very much a work in progress. 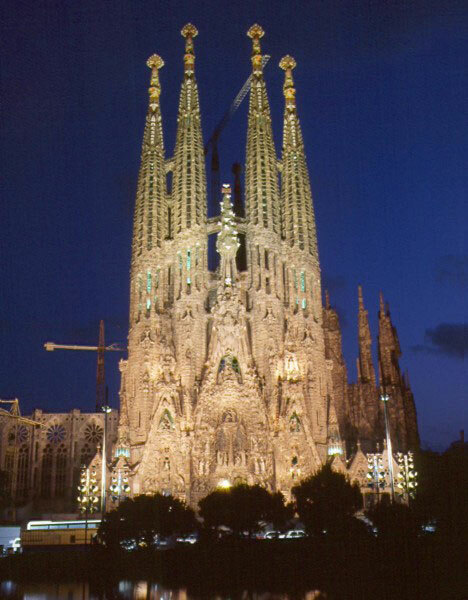 That’s because Gaudi died in 1926 leaving his surrealistic building (begun in 1884) very much incomplete – and it’s still under construction today. Though the United Kingdom boasts many beautiful cathedrals, it is the ruined ones that captivate one with a sense of poignant charm and echoes of turbulent times past. 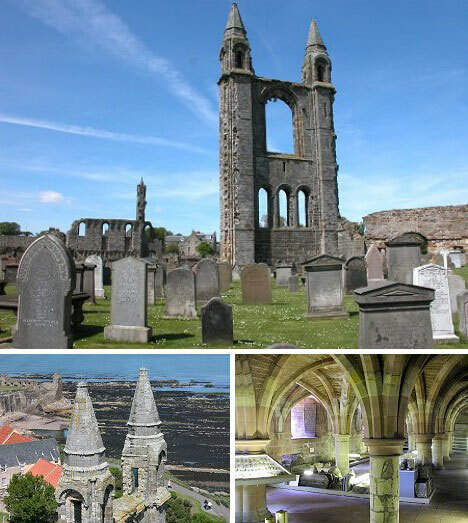 St. Andrews Cathedral hasn’t held a mass since 1559 when the howling winds of the Reformation did what centuries of winter gales could not: bring down Scotland’s largest cathedral. The ruins of the main cathedral (consecrated in 1318) and associated outbuildings evoke a sense of eerie majesty and are, besides golf, one of the biggest tourist draws to this part of Scotland. 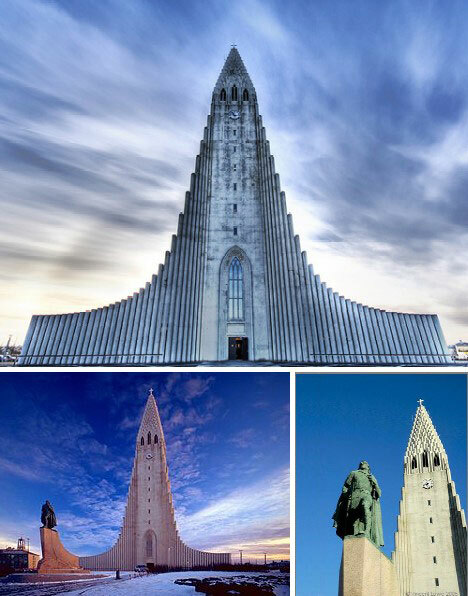 Hallgrímskirkja is a Lutheran parish church whose tower soars 244 feet into Iceland’s crisp, cool air. Construction on the church began in 1945 and was completed in 1986. Hallgrímskirkja houses a huge pipe organ that stands 45 feet tall, weighs 25 tons and features 5,275 organ pipes. The bronze statue of Iceland’s Viking founder, Eric the Red, was a 1930 gift from the United States and thus predates the building of the actual church. Moving to the western hemisphere for our close, the Washington National Cathedral stands out in a city replete with monumental structures. Construction of the Cathedral Church of Saint Peter and Saint Paul in the City and Diocese of Washington, to give it its full name, lasted 83 years: from 1907 to 1990. 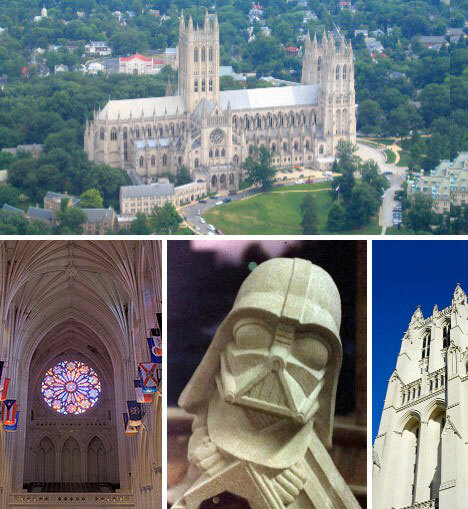 The sixth-largest cathedral in the world features some curious gargoyles, one of which personifies Evil in the form of Darth Vader!